Downy Fabric Softener Sheets Just $1.05! You are here: Home / Great Deals / Amazon Deals / Downy Fabric Softener Sheets Just $1.05! 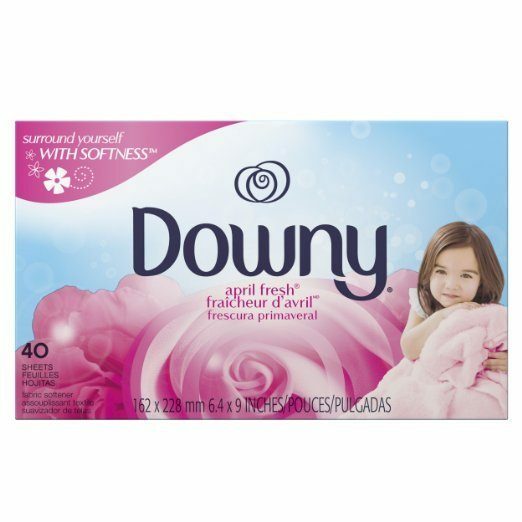 Head over to Amazon for a nice deal on Downy Fabric Softener Sheets! Clip the $1 off coupon and get the Downy Fabric Softener April Fresh Sheets, 40 Count for only $1.05 OR Downy Ultra Infusions Lavender Serenity Sheet Fabric Softener 90 Count for $1.51. Unfortunately, you can only use the coupon once so you have to choose between these two awesome offers. These are both Add-On Items and will only ship with an order of $35 or more. Shipping will be FREE with Amazon Prime or an order of $35 or more.